Would George Clooney break his Oscar policy and show up without a nomination? As you know, the Academy’s in a bit of skirmish over Oscar presenters, with the Screen Actors Guild calling them out earlier this week about supposedly giving the stars a “them or us” ultimatum at award shows. I’m guessing the Academy would probably love to secure George Clooney as a presenter. They want the biggest names. They want the ones who don’t show up too often. They want it to feel special. George checks all those boxes. But he’d be making an exception. He’s said before that he doesn’t go to the Oscars unless he’s nominated or he’s returning as the previous year’s winner to present. Which is a luxury few people get to enjoy. I mean how many George Clooneys are out there, pretty confident about only going to the Oscars as proper nominees? What would it take, though, to get George to break his policy and show up? 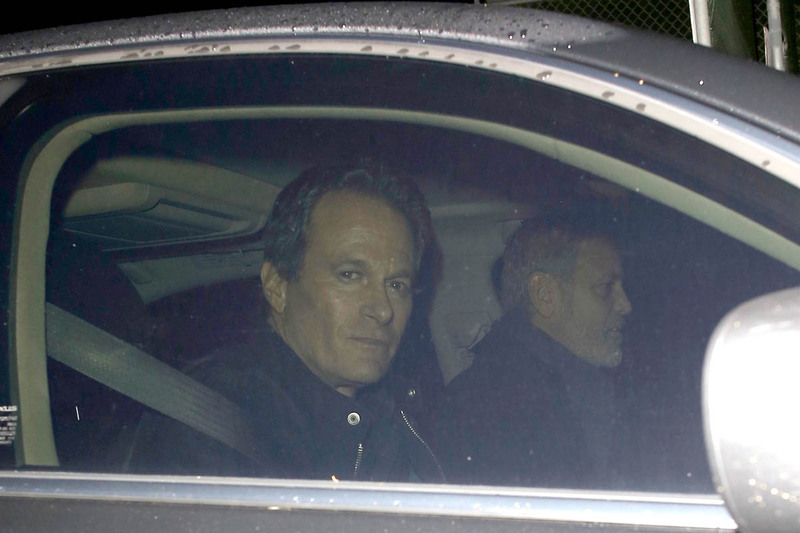 Here’s George last night leaving Craig’s with his best friend Rande Gerber. According to the paps, it was a four hour dinner. Four hours! Note though that George is driving. I couldn’t sit through a four hour dinner with friends without drinking. And George, after a four hour dinner, is driving home. Yeah, so? Remember, these two are boozers. They built a billion dollar brand on that reputation, literally. It’s called Casamigos. So when I say that they were at dinner for four hours and somehow George is still driving home it means that George didn’t have that much to drink, even though he was catching up with one of his closest buddies. That is some discipline, non?